On May 19th, overlooking Sonoma County’s Alexander Valley, watch the midday sun burn off the morning fog and allow yourself to truly be present. 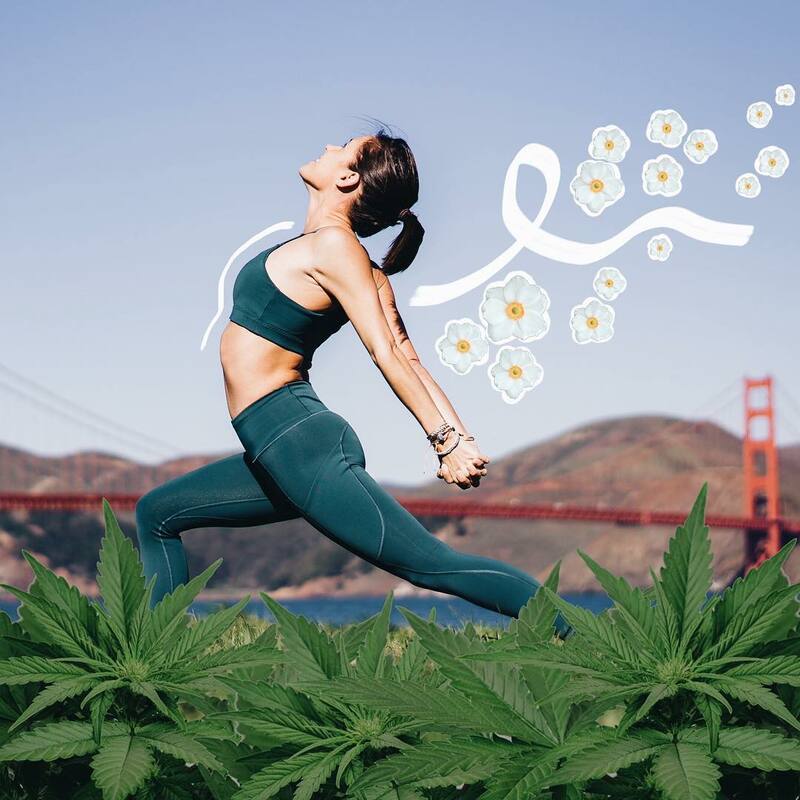 Join luxury cannabis brand, TSO Sonoma for a day in the vineyards including energizing yoga, a wholesome plant-based lunch, an intention setting ceremony, and the high note of the afternoon: a health-coach guided cannabis wellness education. The insightful day begins with a yoga practice guided by renowned Bay Area yoga instructor Lacey Calvert Shelton. After the flow, a beautiful plant based lunch will be catered by Jam's Joy Bungalow, known for their “vibrant food for spirited people”. Guests will enjoy a family style meal of locally sourced produce and a picturesque vineyard view. An intention setting ceremony follows, complete with guided cannabis education from health coach, Kyra Mueller-Yamamoto. Focusing on how to incorporate cannabis into a health-conscious lifestyle, guests will be invited to discover and explore different non-psychoactive cannabinoids, such as CBDs, and learn about the health benefits they offer. As this is wine country, The Herb Somm and Cruess Wines are teaming up to offer a rosé bar for guests to enjoy throughout the day. TSO Sonoma, an influential leader in the emerging green world, is a luxury brand dedicated to serving a modern generation of mindful cannabis consumers. No longer ostracized, though the archaic stigma still lingers, the team behind TSO Sonoma saw the opportunity to host an Elevated Event Series as a way to educate the community, normalize cannabis, and progress the attitudes surrounding the industry. The brand is committed to promoting the therapeutic potential of cannabis and reflecting that same commitment to excellence that Sonoma County is known for across the nation. Offering products that meet the highest standards of purity and quality, using no pesticides or solvents ever, TSO Sonoma’s mission is to bring the holistic properties of cannabis to light, making the experience more approachable for users and advantageous for the environment. TSO Sonoma has partnered with the bevy of progressive and enlightening brands for the Cannabis + Mindfulness event. Humboldt Farms, a trusted source for organic, quality cannabis, will be showcasing their premium flower and products. Committed to nurturing the body and soul and inspiring the mind, the sun-grown products of Humboldt Farms will serve to deepen the connection between guests and the natural setting, expanding the human experience. Kyra Mueller-Yamamoto, the health coach on site, will be introducing Root and Bones adaptogens, potent superherb powders that counteract the effects of modern stress. Kikoko, a femme founded tea company, will kick the refreshments up a notch with their cannabis infused herbal teas and CBD Living Water will be showcasing their one-of-a-kind CBD and nutrient rich water that employs quantum physics for maximum hydration. The adult confections company, Valhalla will offering their popular handcrafted CBD gummy candy. Along with these treats, guests will also be welcome to take home premium organic CBD honey from Honey Pot Supply as well as bottles of Pot D’Huile, a CBD infused olive oil. Kiskanu, an organic family owned and operated cannabis farm whose signature face oil brings balance and relaxation to your skin, will be presenting a custom oil blend bar with representative, Gretchen Miller. CBD hemp oil medicinal brand, Luvitol, will be promoting deep relaxation with CBD massage oil and a massage chair, offering both neck and shoulder massages under the property’s oak trees. We Bee Kind, a CBD herbal apothecary specializing in therapeutic body care, will be bringing luscious bath bombs and fizzy foot soaks. The gourmet guide to all things cannabis, The Herb Somm, will be providing education on Wine and Cannabis pairings. Drift Outdoors, a husband and wife owned luxury glamping company, will be setting the mesmeric scene, and shuttle transportation to and from Healdsburg Square will be provided by Emerald Country Tours. Sonoma County photographer, Adam Decker, will be capturing the day on film. TSO Sonoma’s Cannabis + Mindfulness is being held in Healdsburg, CA on May 19th, from 11am - 3pm. This intimate and exclusive reception, one in a series of Elevated Events, is sure to change the expectations regarding cannabis events. Mindfully reimagine health and wellness in an elegant setting with TSO Sonoma. To purchase to tickets, please visit https://www.eventhi.io/event/cannabis--mindfulness-261. For more information about TSO Sonoma visit http://tsosonoma.com/. Follow TSO Sonoma on Facebook and Instagram. ﻿Upon receipt of this event you enter an area where photography and video recording may occur. You consent to photography and video recording and its/their release, publication, exhibition, or reproduction to be used for news, web casts, promotional purposes, telecasts, advertising, inclusion on websites, social media, or any other purpose by TSO Sonoma and its affiliates and representatives. Images, photos and/or videos may be used to promote similar TSO events in the future.